Hello Wednesday, ‘Happy Hump Day!’. 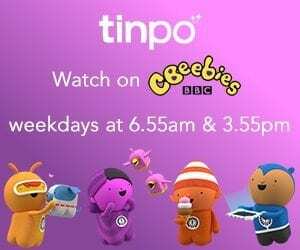 Welcome to this week’s Small Steps Amazing Achievements. Another big THANK YOU to everyone who linked up last week. Twenty three blog post’s were linked up last week, our new all time high, and even more new linkers. 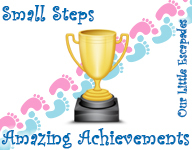 Last week we had lots of fantastic Small Steps Amazing Achievements quite a few of them were speech related, and you can read about all of the individual achievements over at Mum Turned Mom, Mini and Mum, Mama Mummy Mum and Mummy to Boyz. One little superstar has even taken one step further and is becoming bilingual over at Brina Bird & Son. Two superstars are on the move over at Everything Is Rosy and Make Do And Push. We also have a bread eater at It’s Small’s World. Finally Orli from Just Breathe wrote a post that we can all relate to now or in the future about when our children start school and we are left behind. An old one from me this week.